Wildesign Architects is a cutting edge design and architecture company that works with churches across the nation. In their business, first impressions and connections are important. They show that they value business relationships by sending new clients a “Wildesign Welcome Box”—including, of course, HOPE Coffee. 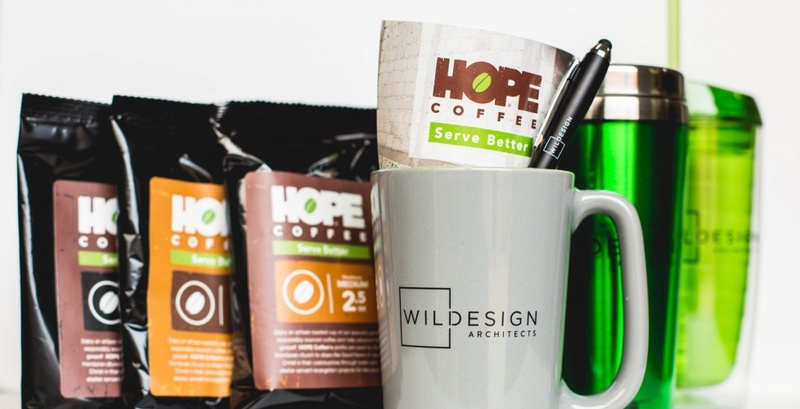 Wildesign Architects loves our 2.5 oz Retail Packets of HOPE Coffee!